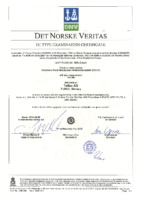 Newest certificates are listed first. 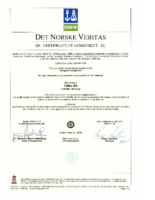 Marine Equipment Directive is a product authorization/approval directive by the European Commission (EC) in the European Union (EU). 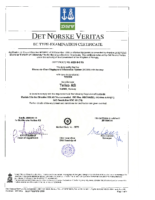 Products that are certified with MED are labeled with a wheelmark, allowing users to recognize if the product is manufactured according the the standards and regulations listed in MED. 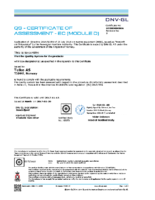 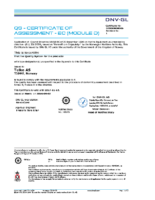 MED module D is the section with requirements for quality management systems. Marine Equipment Directive is a product authorization/approval directive by the European Commission (EC) in the European Union (EU). 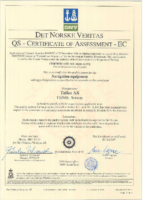 Products that are certified with MED are labeled with a wheelmark, allowing users to recognize if the product is manufactured according the the standards and regulations listed in MED. 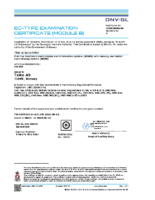 The Wheelmark label is the maritime equivalent to the CE mark. 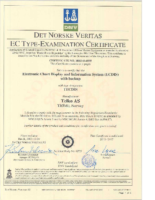 Note that if you have a type approved TECDIS system, then you are required to have the certificate that was valid when the system was installed. 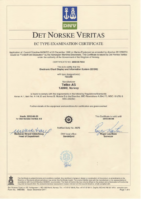 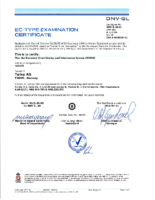 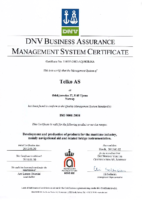 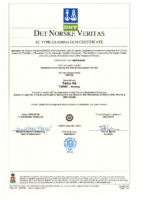 All TECDIS type-approval certificates are production certificates only, and you do not need to keep an updated, valid certificate when your original certificate expires. 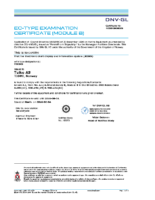 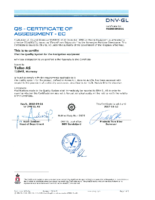 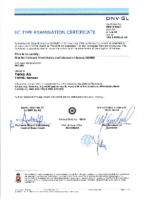 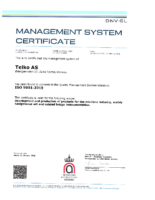 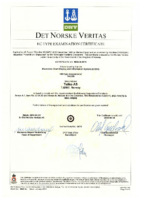 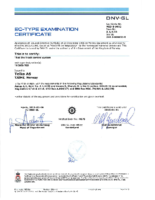 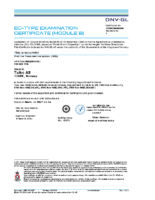 This certificate is required in addition to the TECDIS Type Approval Certificate, if you have a TECDIS TCS (Track Control System). 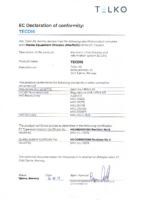 The Declaration of Conformity is the written statement by the Telko production team regarding the compliance of delivered TECDIS units against the MED-B and MED-D related standards and regulations. 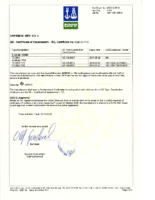 Newest DoC documents are listed first.